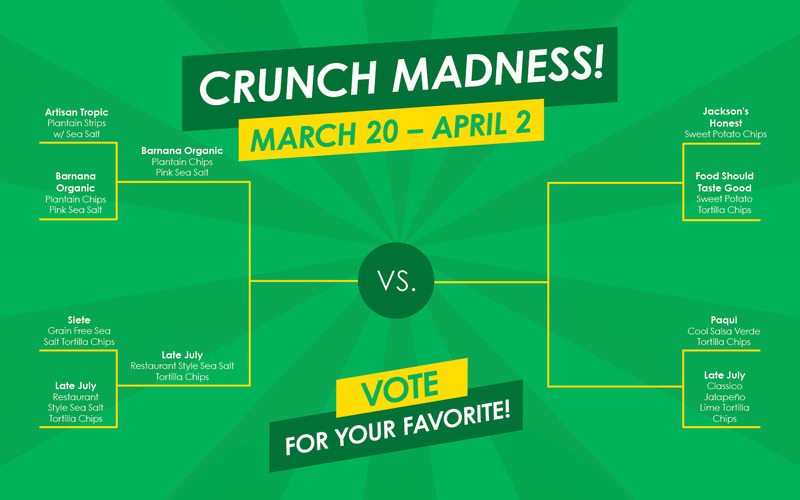 It's Time Again for Crunch Madness! 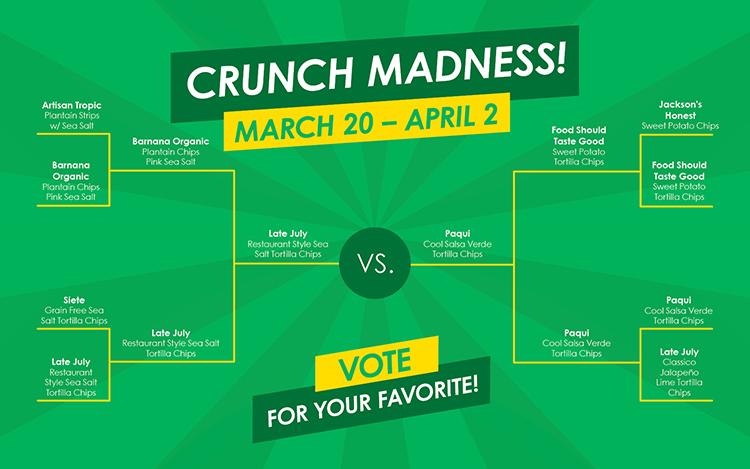 We've themed our match-ups to allow you to discern the subtle differences between different brands of the same chip genres, including plantain chips, sweet potato chips, and tortilla chips both salty and spicy. Only your taste buds can tell us who wins! ** Actually just a drawing of a trophy. But a cool one.